Another adorable ornament from the SWAN Christmas party. EG stitched this. Can you see the cute mushroom charm at the bottom? I am sorry to say that I am not sure of the designer. Merry Christmas! 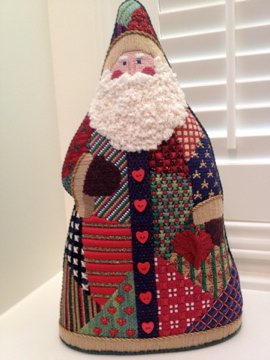 The hostess with the mostest, LD, has a wonderful collection of stitched Santas. I love this one! 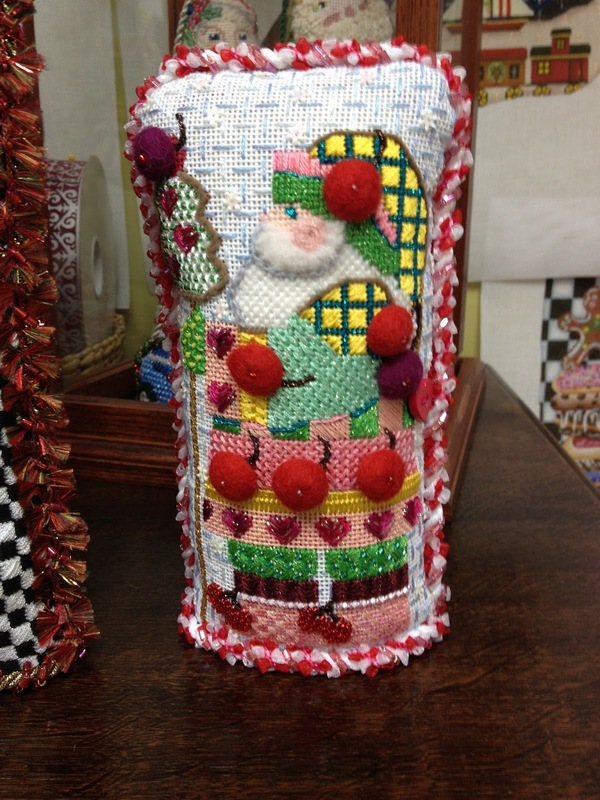 This darling mini stocking was stitched by GG for LO. The back is black and white check with a red monogram. I wish I had gotten a shot of that so you could see all the cuteness! This cute house was stitched by DBC. We add our initials and the year to the bottom or back of each ornament. Isn't her initial idea just the cutest? 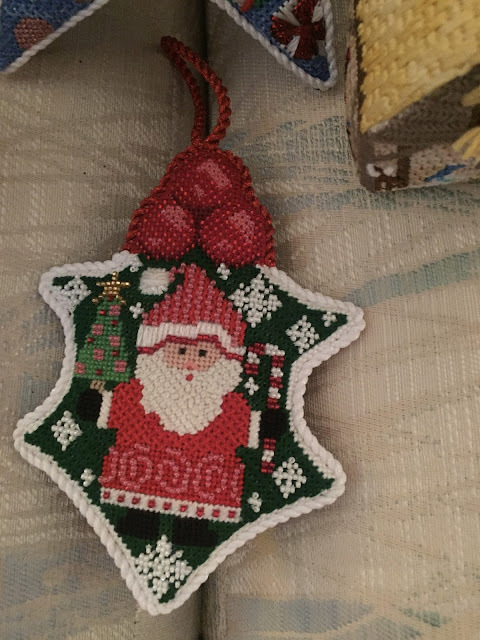 This one was stitched by me. Oh, how I struggled with it. I took it to Amy's and Carolyn's. With their expert help, it turned out beautifully. I hope GG, the recipient thinks so. Merry Christmas! This adorable pink SWAN House was stitched by ATB. 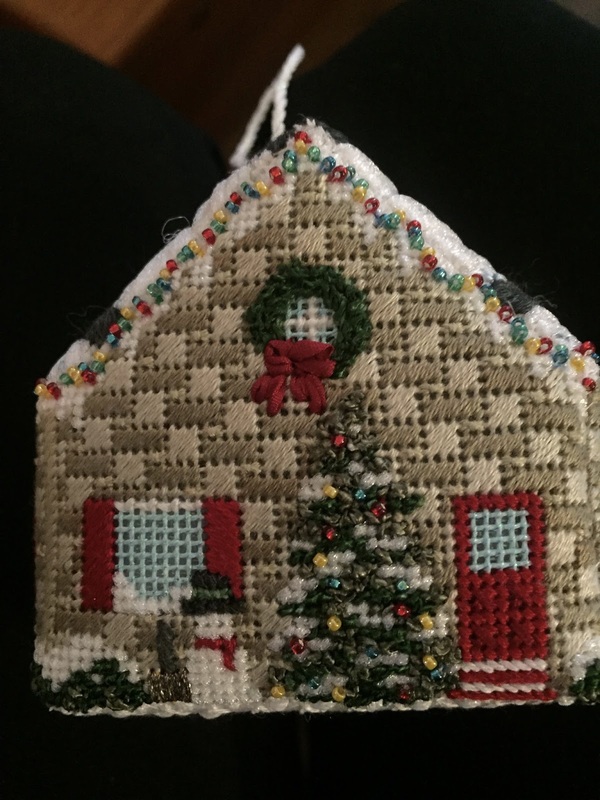 It's called SWAN house and couldn't be more apropos since we are the Society of Women Addicted to Needlepoint. Merry Christmas! The SWAN Christmas party was last week. 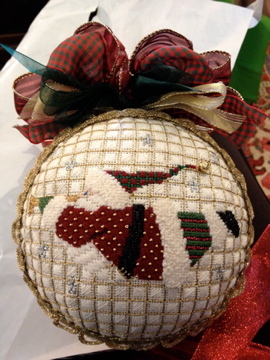 Each year we draw a name and stitch an ornament in secret for that person. We get together for lunch and then the big reveal! 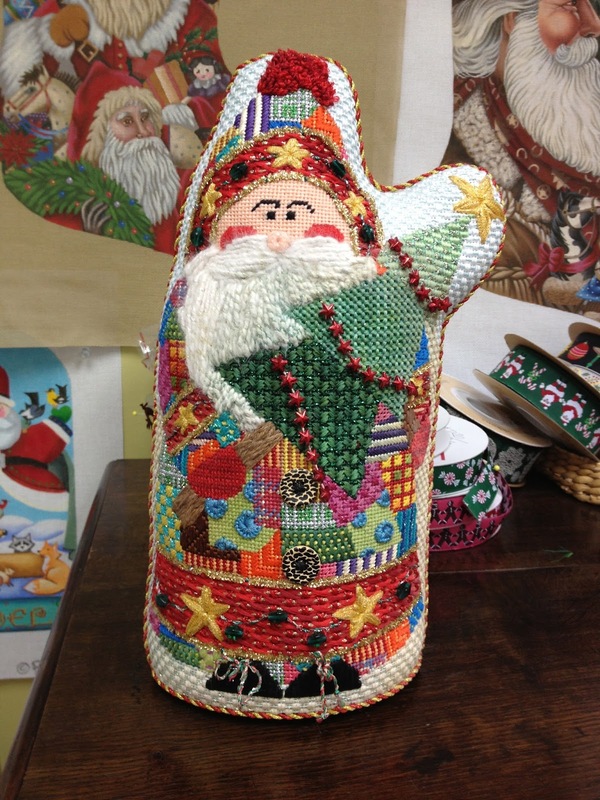 What wonderful ornaments with fantastic stitching! 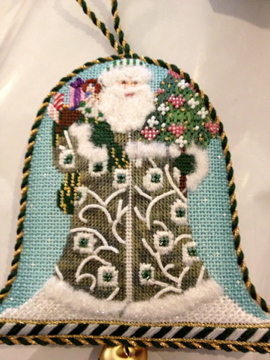 Details to follow on each ornament! 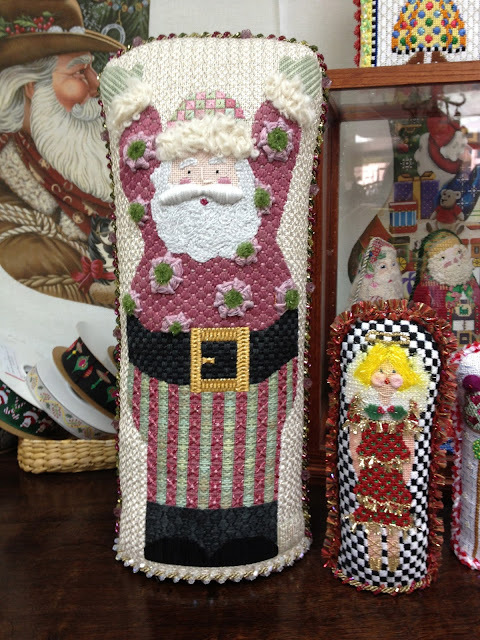 I bought this from The Silver Needle to put in my stocking. I am going to the sale at The Needle Works today to get the threads since Colleen is having a big sale. 40% off canvases in stock and threads are discounted too. A perfect day for me! Here comes Santa! Not all these are mine but I wish they were! Merry Christmas! All in stock canvases are 40% off! Visit the the stop at http://theneedleworks.com. Merry Christmas!